Malta was the 22nd European country that I visited with my dog, just over a year after we arrived in Europe and when we were in need of some sunshine and warmth at the end of winter. 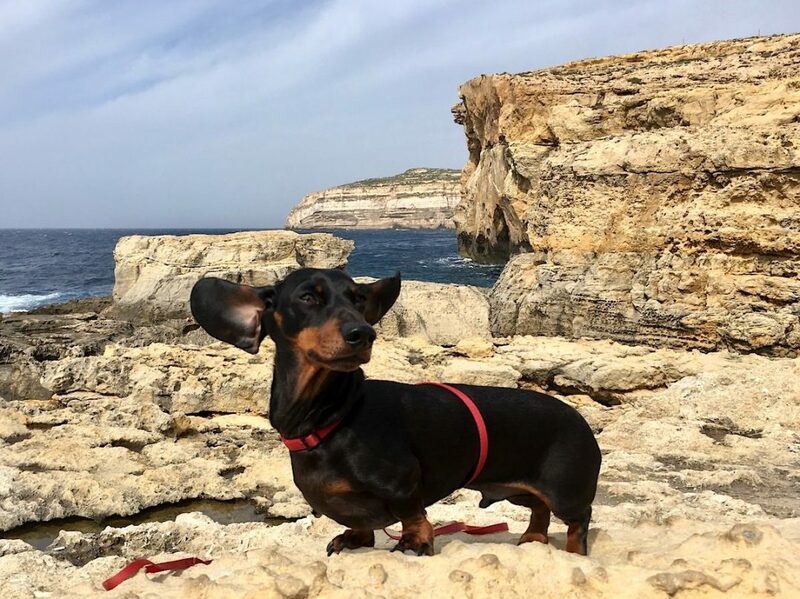 Despite being part of the European Union, Malta is one of the trickier countries in Europe to travel to with a dog. The night before our flight, I was a bit worried (both because it would be my dog’s first flight in 10 months and there was a potential hiccup with our paperwork), but it all ended up going quite smoothly (like usual!) 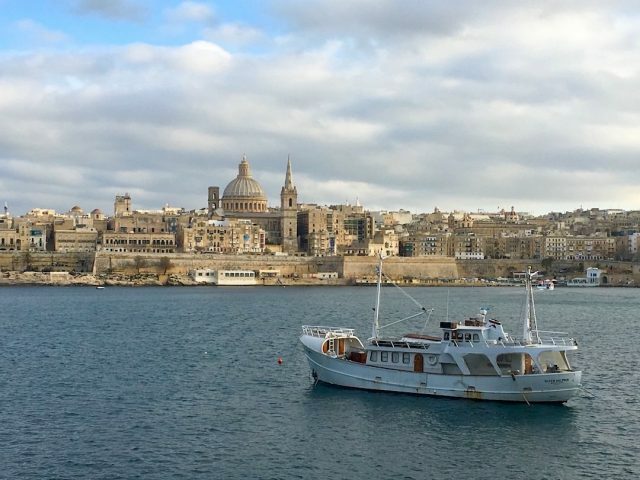 Here’s the steps we went through to travel to Malta with our dog. Just like other European Union countries, you’ll require your EU pet passport (or other paperwork from your country of origin), showing your dog’s microchip number and proof of rabies vaccination. 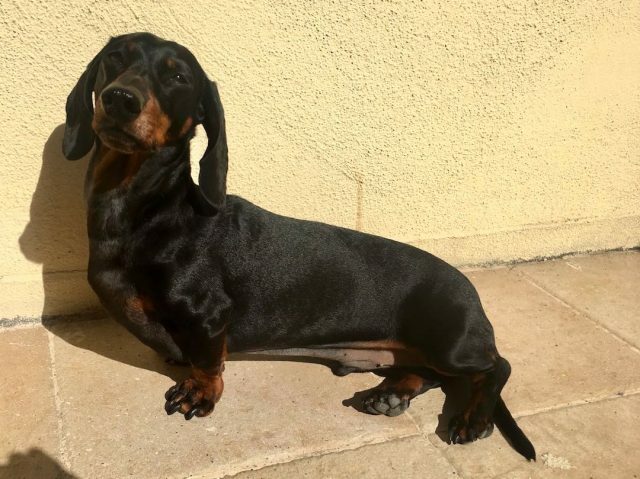 Additionally, Malta is one of the few countries that also requires your dog to be wormed by a vet, between 5 days and 24 hours before arriving in the country. Then there’s an extra special step just for Malta! Malta also requires you to notify them of the arrival of your pet, at least 3 working days before arrival. This is so your pet is inspected on arrival by a vet (at the airport or ferry terminal.) The form is online, at https://nldmalta.gov.mt/MaltaPetArrivals/Default. The form requires your arrival details (flight or ferry), microchip number, rabies and worming dates. Once submitted, you receive an email with a number to go back and edit details if required. 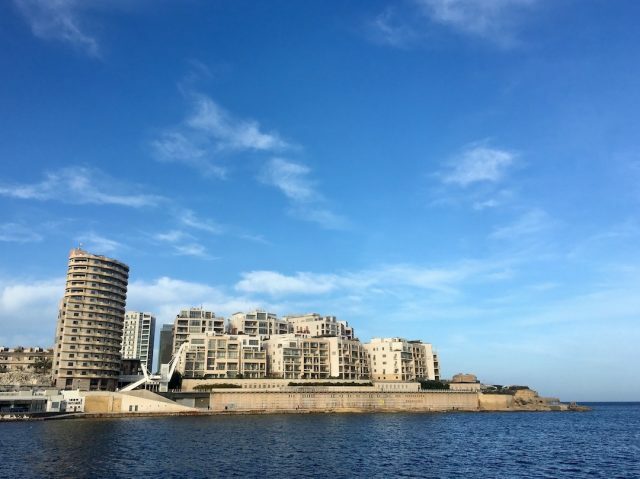 On Malta, we stayed in Sliema, a popular residential area with plenty of cafes and shops, plus dogs! Originally, we were going to take a ferry run by VirtuFerries from Sicily to Malta. The ferry crossing only takes a couple of hours. If you’re travelling with a car, two pets are free, or else for foot passengers pets cost just €12 (inside) or €16 (on the outside deck). Human fares though are expensive, even in the off-peak season when it costs €61 for a one-way fare, although return fares are better value. However, during winter the ferry only runs from Pozzallo, a small town on the southern coast of Sicily, where there are no hire car offices or easy public transport connections. Fine if you’re travelling with your car, but otherwise a big difficulty. A few ferry services connect with a VirtuFerries-run coach service from the large city of Catania, but not on the days we were considering crossing, and there is no information on whether dogs are allowed on the coach. If it was summer, there’s also the option of some longer ferry services from Catania, but not when we were travelling, so we looked at other options. We switched to flying to Malta from Catania Airport – a very short flight scheduled to take 40 minutes, but in reality we spent under half an hour in the air! We booked our flight with AirMalta. Tickets were cheaper for humans, although it’s far more expensive for dogs, with a flat €70 fee for small dogs in the cabin regardless of flight duration. Bookings for pets can’t be done online, instead you need to call up to book (which we did immediately after booking our own tickets). 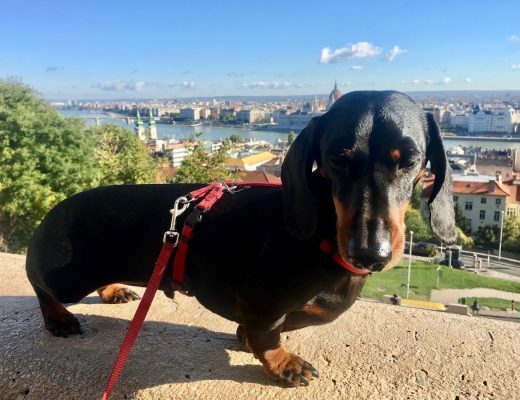 Additionally, AirMalta states in their pet policy that your pet should have a health check from a vet noted in their passport within 3 days of the flight. I ended up just searching on Google Maps for vets which listed opening hours and were open on Sunday, in between the town of Milazzo and the city of Catania (the area we would be travelling through that Sunday). I found a 24-hour clinic in Catania with an email address and sent an email (prepared with Google Translate), but didn’t receive a reply. The reviews also weren’t that great, so I cajoled my husband into calling a vet near Milazzo. Success: appointment made with our pre-prepared Italian phrases and a little English! I hoped when arriving at the vet that he would be able to speak some English, but that wasn’t the case. He also didn’t seem overly familiar with the EU Pet Passport. He was working in a small town, not a big city, I guess. He gave our dog the worming tablet and then filled in the relevant section. But when we said we needed the health check filled out, he didn’t seem to understand what we needed (and we didn’t have enough reception to use Google Translate on our phones), so he wrote a letter instead. We paid the bill (just €30) and hoped it was all good. The night before our flight, I started to worry. As well as the fact the health check wasn’t actually written in the passport (and could be an issue for either the flight or our arrival in Malta), I also suspected that our dog’s carrier bag was probably a touch larger than the requirements specified by AirMalta. Not that I could check, as I didn’t have a ruler. When booking, the lady had asked the measurements, and my husband said he didn’t know but we’d used it for flying before, so just said it was the maximum. Although it is soft, so could be squished down, if necessary – but only if we got past the check-in desk! Also, I’d written down that it might cost €50 for the vet inspection on arrival in Malta, but now I couldn’t find anything about a fee. The next day, we arrived at the airport with plenty of time to spare. At the check-in counter, the lady at asked for our pet’s passport and quickly glanced at it. (I don’t think she even looked for the health check I had worried over, I think she just made sure our dog had one.) 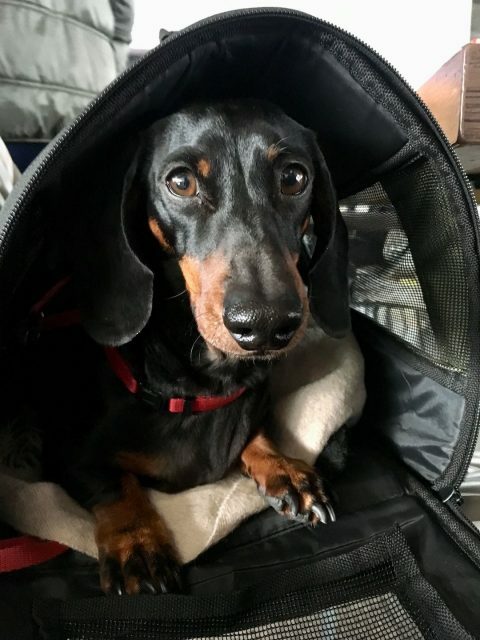 And just like the last time we flew in Europe with our dog in the cabin, she barely glanced at him in the bag, didn’t check the size or weight. We were through! After a final lunch of arancini and cannoli, it was then time for boarding. Our dog’s carrier bag fitted under the seat, no problems. (Although given the lack of foot space left for my husband, he was glad it was just a quick flight). When we arrived at the airport in Malta, we headed for the baggage carousel, as we’d checked in luggage. While waiting for it to appear, a man approached us with an official badge. He was the vet, and while I waited for the luggage, my husband went off with the vet. He checked our dog’s microchip, looked at the pet passport and the letter from the vet, didn’t charge a fee, and it was all over in a couple of minutes. No issues about the separate letter, rather than the health check in the passport. It was over, and we were officially in Malta with our dog! My recommendation for if you’re travelling to Malta with a dog? Yes, the paperwork can be a worry. But make sure you complete all the requirements, especially the worming, and it should all go smoothly, just like it did for us. 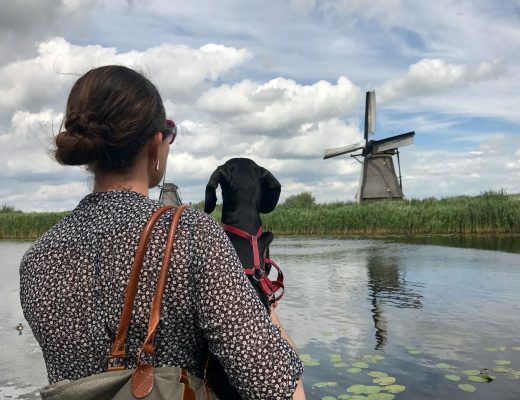 And if you’re flying for the first time with your dog, read my complete guide to flying with your dog in the cabin. Hello there! 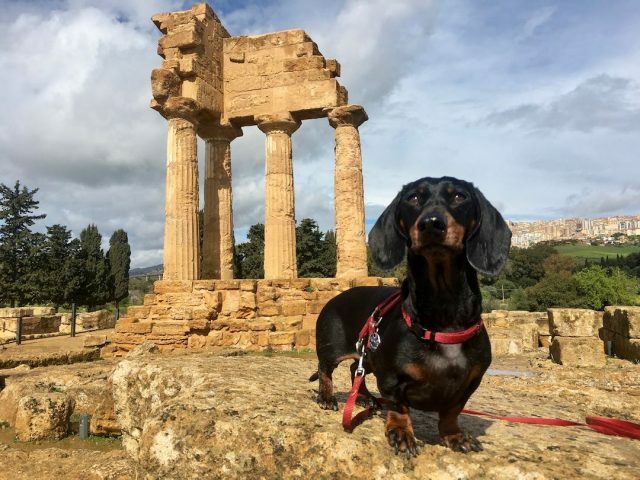 I’ve read your interesting article on travelling to Malta with a small dog (yorkiie in my case) it is my first trip by car on ferry to Italy and Malta from Toulon, France. It’s quite a long haul, what special advice would you give for my pets toilet etc.? I guess to starve him is an option and what about the deworming process? Wouldn’t that make him I’ll? I’m worried about the whole procedure, please advice me. Thanks! Sheila – I would check what the facilities are on the ferry to Italy (I’m not sure how long it is). Usually on overnight ferries we’ve taken there’s either been a sand or gravel pit for dogs to do their business (thumbs up from my dog) or a deck available (that my dog refuses to use). I generally give my dog a smaller meal than usual (if I’m unsure if my dog will use the facilities on the ship), a few hours before boarding, then give him a walk on grass as close to boarding as possible. Still give water, although not too much. Don’t be worried about the worming treatment. 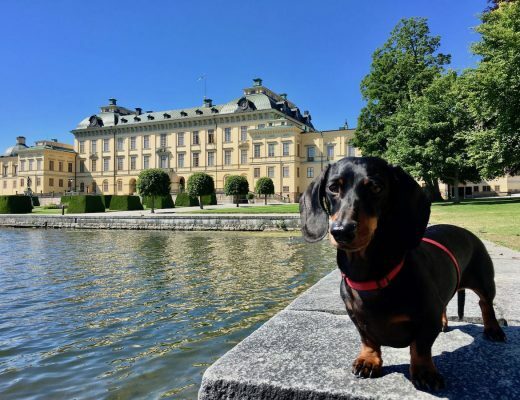 There is a chance of illness with all medication, but I don’t believe it’s ever made my dog ill. My dog has had it done 7 times now (visiting UK, Malta, Norway, Finland, flying to US, Australia x 2), and was only ill one time, and I think that was due to a vaccine done at the same time. Best of luck and enjoy your time in Malta!